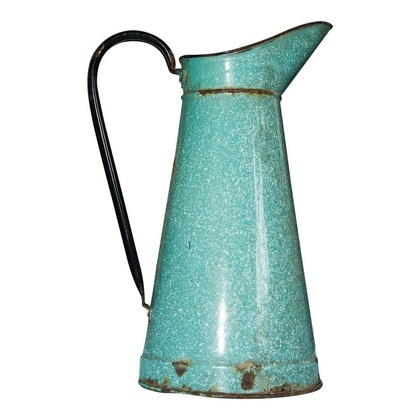 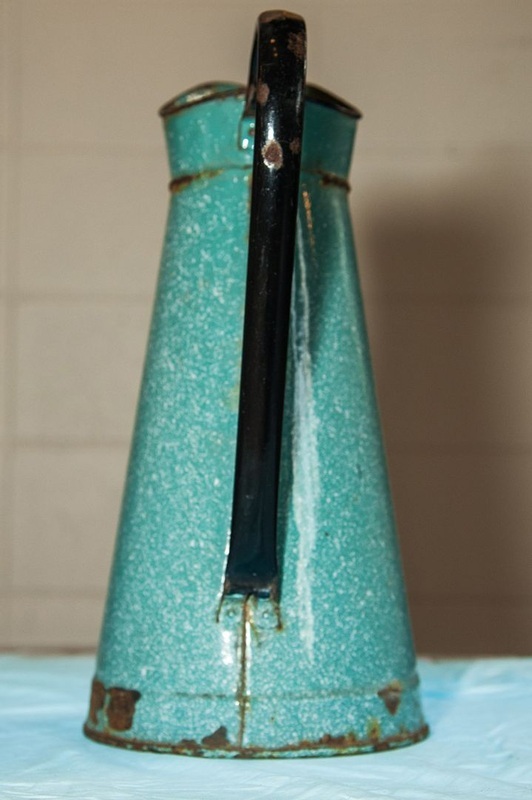 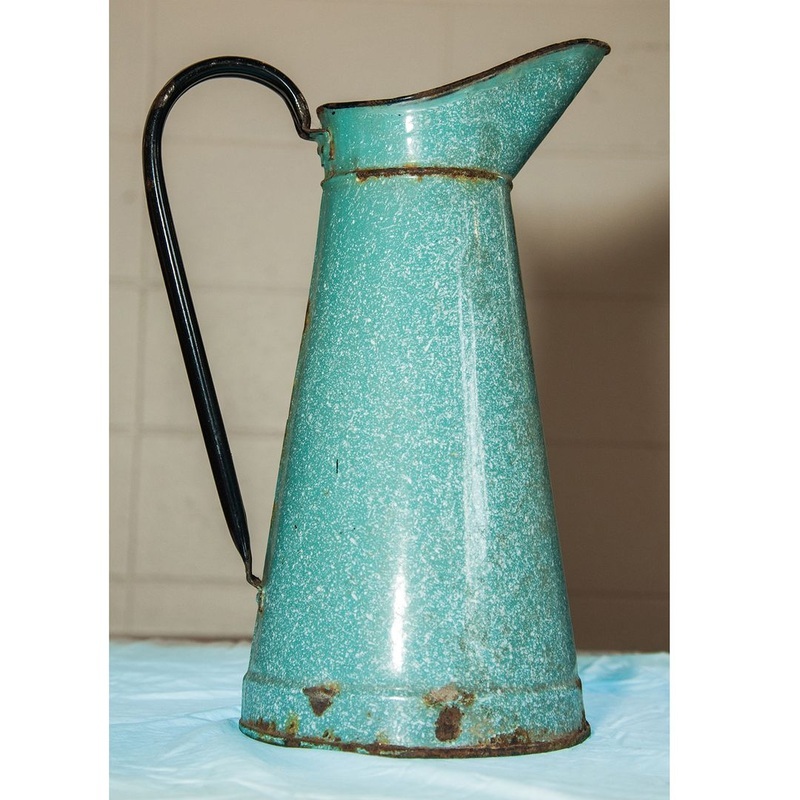 Delightful Country French enamel graniteware water pitcher. 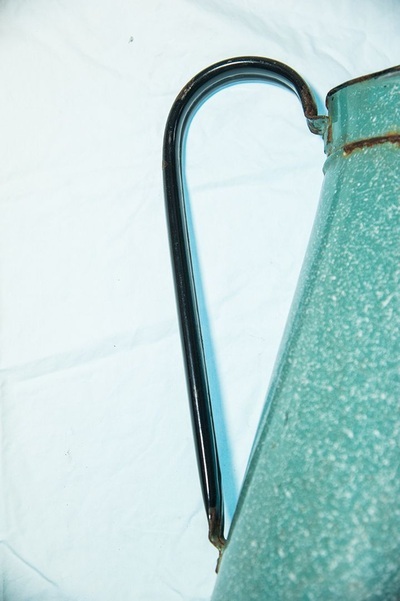 Circa 1930's. 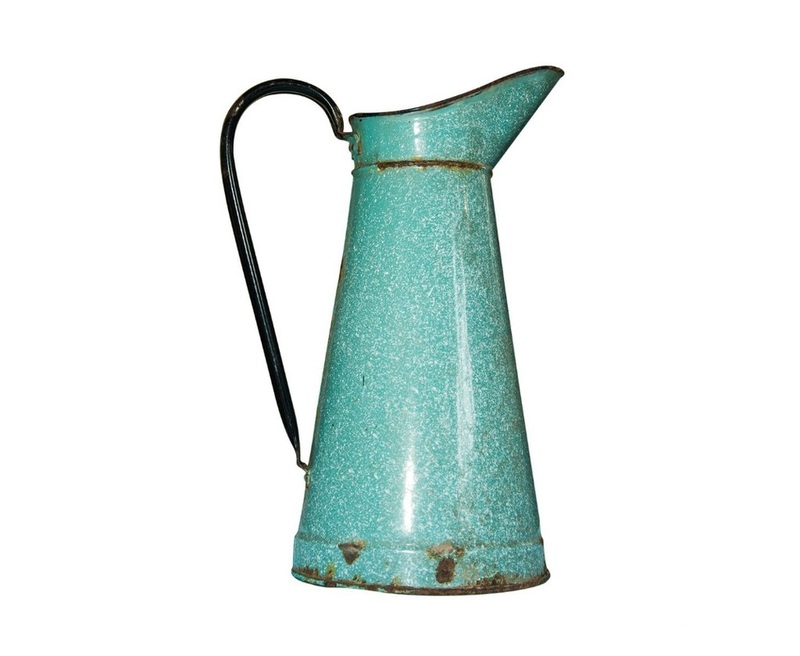 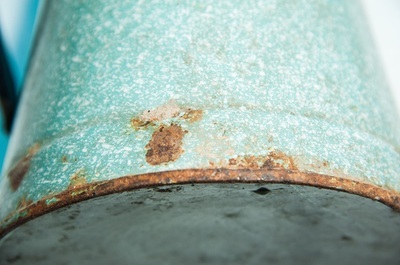 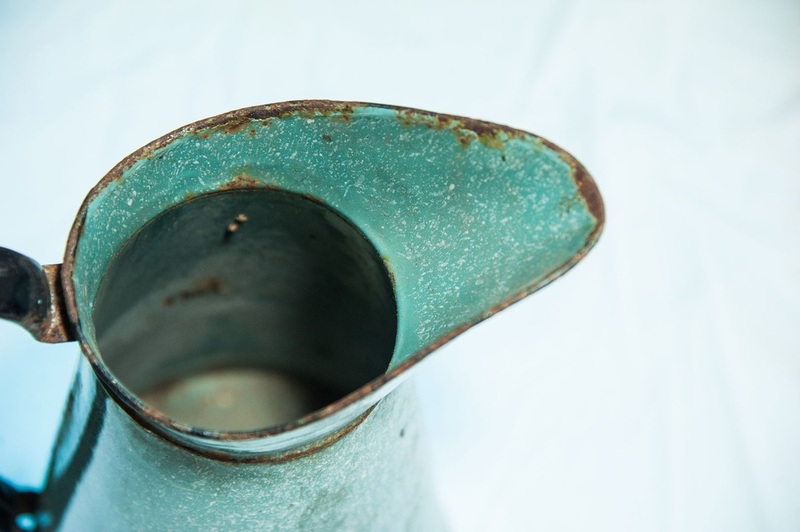 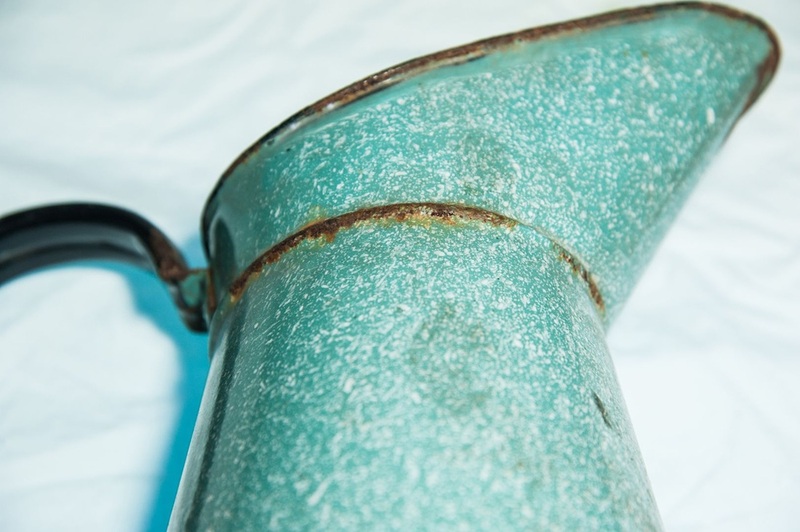 Sea-green color with small areas of enamel loss, giving it an authentic vintage patina. Large size, perfect for a display of flowers on a dining or hall table.